When I was creating the schedule of reviews a couple months ago, I strongly thought about series that were shorter in length. This was because of how busy I’ve been as of late with graduate school, job searching, production work, and all the work I do between Rainy Day and my own blog. So, as you’ll notice for the next few months, I’m sticking with the shorter series. Oddly enough, when thinking about what anime to schedule and look at, a certain ESPer series that I had Impressions on was among the first that came to mind. And, well, here we are! The Unlimited Koysuke Hyobu is a 12 episode Action series based on the manga by Rokurou Ogaki and published by Shogakukan. 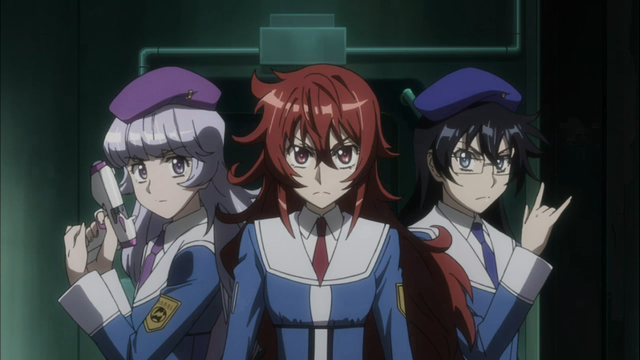 The series is a part of a larger franchise known as Zettai Karen Children, a ongoing manga written by Takashi Shiina. 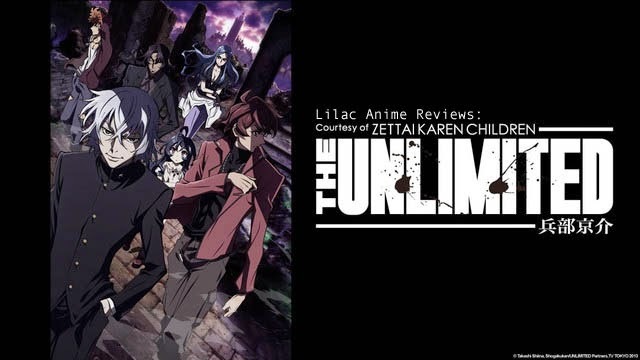 Unlimited is from Studio Manglobe and director Shisho Igarashi, airing during the Winter 2013 season. As of this review, the series has not been licensed for distribution, however it is available for legal streaming thanks to Crunchyroll. Koysuke Hyōbu, an ESPer who was betrayed many years ago is now one of the most powerful ESPers, and also a fugitive. However, behind that glare lies a kind heart. His main mission is to save ESPers who are mistreated by humans, even if that be by force. Through his methods, he has saved many ESPer lives, and gained the loyalty of those he has saved. The name of his group: P.A.N.D.R.A. It’s actually been a while since I’ve gotten to talk about a Manglobe series. The last time I reviewed a Manglobe series was Deadman Wonderland, however I did have Samurai Flamenco and Karneval during my Impressions series last year ALONG with Unlimited. If I remember right, Unlimited was in the Winter, then Karneval in Spring, and Flamenco that Fall. Anyways, my point being that Manglobe doesn’t produce all too many work, and not as frequent as you may think. Because they are a smaller animation studio, this can have an affect on the animation quality of a series. This can be the case here with Unlimited. What we see with this one is more along the lines of a typical action series and, out of the trio Manglobe released in 2013, it’s probably among the weaker ones. Granted Karneval was average and Samurai Flamenco was a mess, but both still managed to look interesting in their animation. I do have to give credit to Unlimited and it’s action scenes because they do have moments where it looks well done. The soundtrack for the series tries to make everything seem epic with orchestras and choruses, but it can be very overwhelming at times and drown out what we are actually seeing. The themes are also a rather interesting thing to talk about. For the opening theme, it’s one song with changing animation depending on what’s going on during the episode. For example, the first three episodes use red as a primary color in the opening while, later on down the line, two episodes use black and white to reflect episodes involving Koysuke’s backstory. As for the ending themes, they are extremely inconsistent. 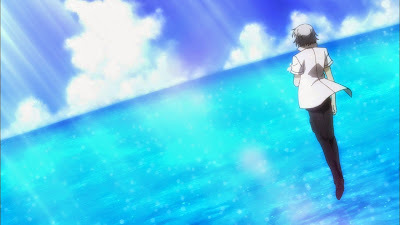 There are two endings where they are animated nicely and are interchangeable like the opening theme, however there are several episodes where there is just a different ending song mixed with the show itself. It’s almost like the show wanted to add music but didn’t want to pay money to have it animated nicely. 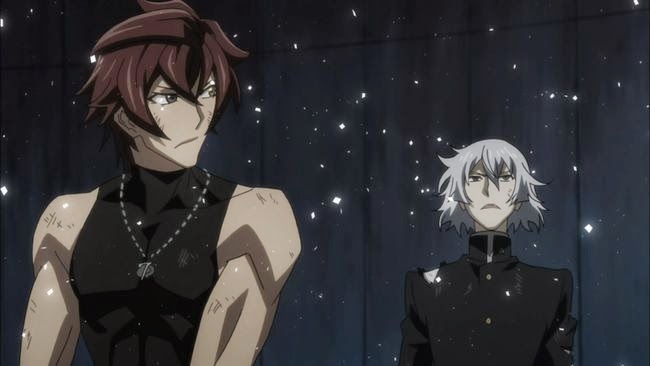 I would be lying to you if I said you didn’t have to watch any previous entries of the Zettai Karen Children franchise to completely understand Unlimited. As someone who is just doing research for the sake of this review, there are parts of this series that tie into the franchise as a whole. Particularly Koysuke and his motives. Throughout the series, his motives and the story are rather unclear until you reach the final few episodes of the series. Though I have not seen Psychic Squad or read any of the manga, this is a case where knowing more about the story would have helped me out when watching it. Most of the first half has some pandering involved, followed by a two part arc that tells Koysuke’s story. And then we go into the series climax. Now, correct me if I’m wrong, but is it really necessary to have a two part exposition arc smack dab in the middle of another arc? Well, Unlimited seems to think so and the result of that makes for some oddly placed story for reasons, that I can only think of, being to give us an AH HA! moment in the next episode. If you ask me, it’s a little bit of a lazy fix. It doesn’t help that the story isn’t too terribly strong to begin with, but when you do something that is completely lazy, in the grand scheme of things, then this doesn’t make your story any better. There was something there in the story, that I can assure you. However, with my lack of knowledge of the franchise and the rather mediocre writing, the end result comes out as something really confusing and sometimes boring. There may be quite a few characters in this series, but I think it’s really necessary to talk about three and mention one other. 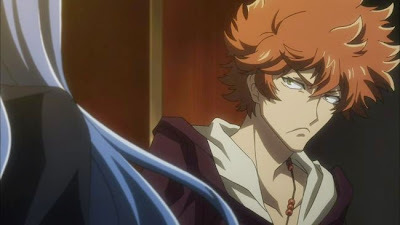 Starting with the title character, Koysuke Hyobu, he is the focus of the series. It is, essentially, his story that’s being told here. Koysuke is the leader of PANDRA who has been struggling against those referred to as normals since the second world war. And, yes, he hasn’t aged a day. The story we get from him is, almost, like a god or savior complex that isn’t developed to it’s full potential. 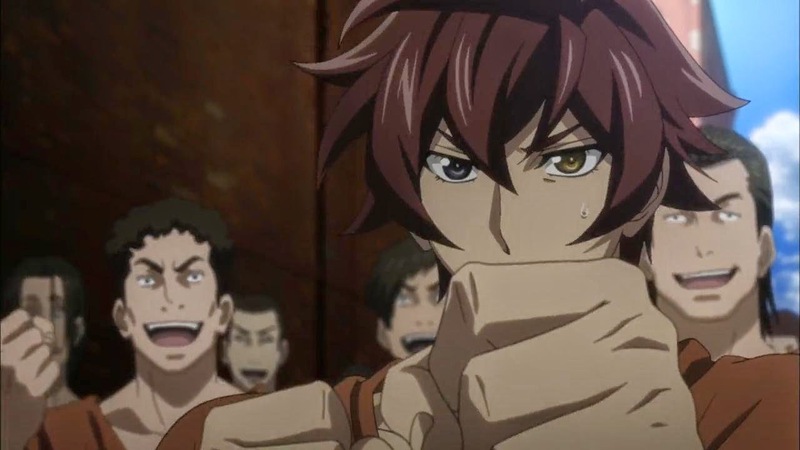 For the majority of the series, we seem to believe that Koysuke has no weaknesses until his age begins to catch up with him along with his past. Again, I feel like his character could have been handled better than it was, but the writing may be partly to blame here. I mean, that two episode arc with his back story didn’t really come at the right time. Next there’s Andy Hinomiya, a US undercover agent who infiltrates PANDRA as part of a mission. His character was a little bit interesting, since the story is from his perspective. This means that we discover who Koysuke is at the same time that Andy does, or sometimes before he does. 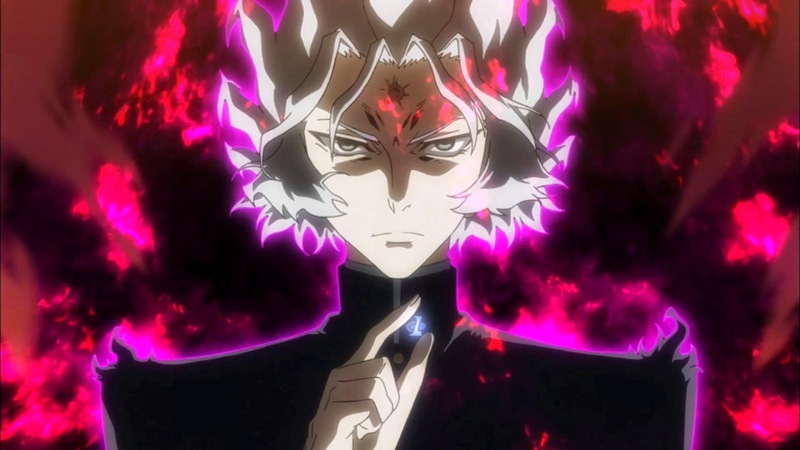 Andy is kind of in the middle of the spectrum, he’s not considered normal and yet he’s not considered an ESPer either. This does lead to some development on Andy’s part, and the journey to where he actually could belong, but that can be seen as something overused in story telling and even in this case it’s not trying to be unique. Though, between the two of them, I did find Andy moderately more interesting than Koysuke. The third character I wanted to talk about was Yugiri because she does have some kind of role in the series that, for spoiler reasons, I won’t go into detail. Her character is more of the quiet loli that seems to have a huge amount of power in her, yet she only really trusts Koysuke and, eventually, Andy. 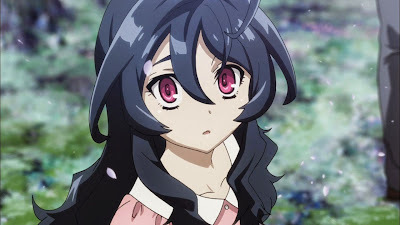 I found her to be even more mysterious than Koysuke and, for a series that is about him, there doesn’t seem to be much focus on keeping him a mystery. Like I said, I do want to quickly mention one other character and that is Kaoru, a member of The Children and the one whom Koysuke refers to as the Queen. This is more because of the connection to Psychic Squad and Koysuke’s motivations in the series. But I can’t really go into that much more because I would have to watch Psychic Squad in order to completely understand. Just know that her character is just there, and is really only someone who tries to stop Koysuke sometimes but it never works. The voice acting for the Japanese cast is actually one of the series’s stronger points. Overall, the cast fit into their roles well and mange to create rather fun performances. This may be because many of the voice actors are actually reprising their roles rather than voicing these characters for the first time. This can at least be said about Koysuke and members of BABEL and PANDRA. The only ones who are not reprising their roles from Psychic Squad, because these characters were never even in there, are Andy, Momiji, and Yugiri. It’s good to know that they decided to keep the same voice actors for Unlimited instead of recasting the entire series. 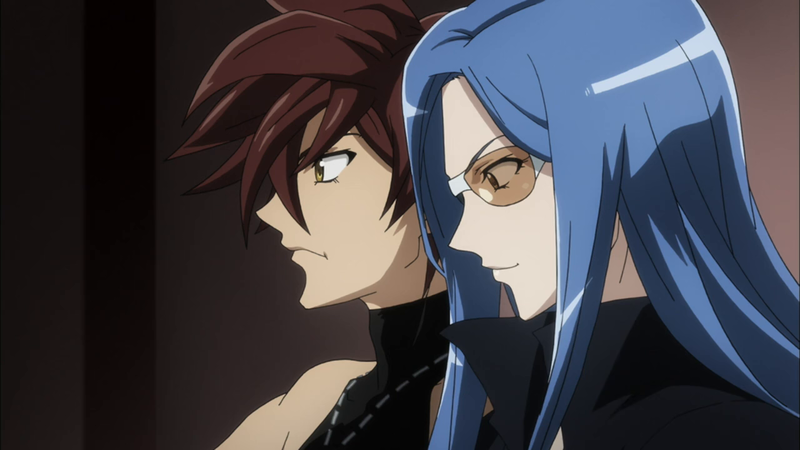 Although they kept the cast, Nao Toyama (Cross Ange, The World God Only Knows) and Sayaka Ohara (Code Geass, Fairy Tail) do manage to keep up with the veterans as Yugiri and Momiji. Junichi Suwabe (Eccentric Family, Fate/Stay Night) brings in a rather strong performance as Andy Hinomiya which was each to follow and enjoy. As for Koji Yusa’s (Black Butler, Yowamushi Pedal) reprisal of Koysuke, despite the poor writing, he pulls through easily and delivers a solid performance of the character. A couple other fun ones I saw include Kouji Ochiai (Blue Dragon, Saiyuki) as Magi, Rie Kugimiya (Fullmetal Alchemist, Noragami) as Momotaro, Wataru Hatano (Hamatora, Polar Bear’s Cafe) as Yoh, and Yukana (Black Cat, Soul Eater) as Fujiko Tsubomi. Overall, I have to say that The Unlimited Koysuke Hyobu is rather average. Without having seen Psychic Squad or read any of the manga that takes part in the same universe, this put me at a huge disadvantage while watching it. It’s tries very hard to make itself a stand alone, but the writing choices are what really drag this series down. It had a chance to try and bring something new to the franchise or maybe even renew interest in it, but even that possibility is slim. 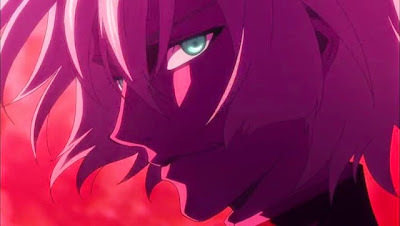 I do suggest watching it for some fun action and for a moderately good story involving ESPers. But, aside from that, this is one you can easily skip. Next time, things get a little bit psychoelectric. Until then, otaku on my friends! Final Grade: 5/10 An example of a meh way to recharge a franchise. Follow our signals NOW & profit up to 270% per day.